Hey Everyone! You’ll notice a slightly refreshed look to our popup windows this week. This should help everyone understand what they are interacting with at a glance. We refreshed the look of the popup windows. Now you’ll see a bit of coloring to emphasize the type of popup you’re seeing (warning, error, settings or new/edit). On the Families & Invoices page, we’ve added a new “Categories” option that enables you to create new charge categories (that are not tied to the calendar). This makes it easier to add a category for books or other materials that you charge families for. We removed the “Subtotal” line during the student payment process if there is no convenience fee since it was redundant. In the Student Portal, students/parents can now toggle between Day/Week/Month view. They’re no longer limited to the default you selected. 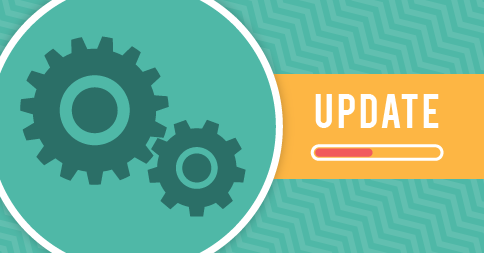 We made a number of internal changes to process auto-invoice/auto-pay more quickly (this should be particularly noticeable around the 1st of the month when many schools choose to send theirs). We fixed an issue with the Sign-Up widget/form that in some circumstances would allow adult students to sign up without an email address. We fixed an issue with the Student Portal “Join Event” popup that could prevent the student from selecting All Events if it was recurring. If you’re collecting credit card information from the Sign-Up widget, we fixed a minor issue that was causing some cards to incorrectly be flagged as expired. Did you know? If the “Copy Attendance Notes” option is turned on, the “Group Note” is now copied from the previous lesson in that recurring series. Thank you for all the improvements. I am loving the new splashes of colour. It is always wonderful to come to the site and find something new or improved. I also the filter function on the calendar, it has made my scheduling so much more accurate.